In this week’s edition, we review some of the major highlights in the crypto world of the last week. Even while bitcoin can’t seem to pull itself out of the doldrums, not all hope is lost as a venture capital analyst outlines the path for crypto as a go-to investment in the near- to mid-future. An analysis of active addresses reveals bitcoin is by far and away still the most popular coin. China releases their esoteric ranking of cryptocurrencies for the 9th month, and Singapore is determined to have the highest number of bitcoin users per capita in a new analysis. 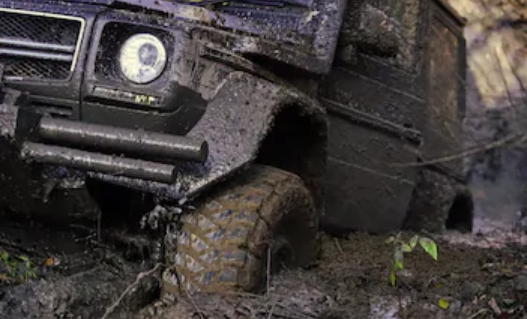 All this and more in today’s Weekly Roundup. It was another lackluster week for the crypto markets as the price of bitcoin edged downward, losing almost 3% in the last 7 days. Many top alts were down over 10% – Stellar (XLM) (-13%), Bitcoin SV (BSV) (-11%), IOTA (MIOTA) (-15%), NEM (XEM) (-11%) – wiping off some $4 billion from the total market cap of all coins. Not all hope is lost, however, as BTC currently remains about $350 above its 2018 low of $3120, perhaps suggesting that the bottom of the year-long bear market is still in. Hopes for a sharp reversal of sentiment in the market in January of 2019 have been dashed, as prolonged regulatory approval of potential catalysts (such as the Van Eck Bitcoin ETF and Bakkt) has prevented investors from regaining confidence in the continued rise of cryptocurrency. As discussed at length in last week’s Roundup, the longest federal government shutdown in U.S. history is not doing any favors for renewing the courage of investors. Some traders, however, believe that the relatively-sideways action in recent weeks means that BTC could be gearing up for a surge above $4000, if certain technical levels can be surpassed (most notably is the $3650 level). Another item potentially helping to renew the crypto market’s moonward trajectory is a rebounding stock market, which recently saw its fifth straight week of gains in a row. A healthy, burgeoning stock market helps drive Wall Street’s appetite for risk and makes “high risk” asset categories (such as cryptocurrencies) look all the more attractive. According to Wall Street, cryptocurrencies belong in the same investment risk category as emerging markets, meaning that when times are good, high risk investments tend to yield the most profit. Conversely, however, when times are bad, they tend to take the biggest losses. “Some think digital assets are still “risk-on” assets & thus expectedly carry the risk of contagion (w/ higher correlations) in a global macro bear market… I subscribe to the belief that digital assets are still “risk-on” assets & thus expectedly carry the risk of contagion (w/ higher correlations) in a global macro bear market. But let’s explore this deeper. A new analysis of active cryptocurrency addresses has revealed that, unsurprisingly, bitcoin remains the dominant and most widely used coin. At an average of 600,000 actively used addresses, it far surpasses any other coin, beating out Ethereum’s count by almost 3 fold and rival Bitcoin Cash by 30 fold. In its ten years of existence, no coin has ever come close to beating bitcoin in terms of its overall popularity. Though countless altcoins have advertised themselves as “bitcoin killers,” none of them have managed to accomplish this goal, and this fact is a testament to the ingenuity of Satoshi Nakamoto’s initial creation. Of all the coins that have followed suit, only a handful manage to stack up to bitcoin with any measure, and these include Ethereum (ETH), Ripple (XRP), EOS (EOS), and Bitcoin Cash (BCH). Ripple is helped most significantly from its existing and potential partnerships with banks, though usually just held for speculative reasons and not transferred for day-to-day purchases. Ethereum benefits from an extremely active development team, strong community and flourishing ecosystem of token-based profits that use its platform to conduct business operations. EOS is seen as an up-and-coming rival to Ethereum, ready to draw away some of its market share, while Bitcoin Cash is perhaps the most speculative of any top-tier coin. Despite pressures from the larger crypto community to tone down the confusion introduced by having multiple forms of bitcoin on the open market available for purchase, the chances of Bitcoin Cash renaming themselves is probably extremely slim, seeing as how they just fought an embittered war to retain that title. 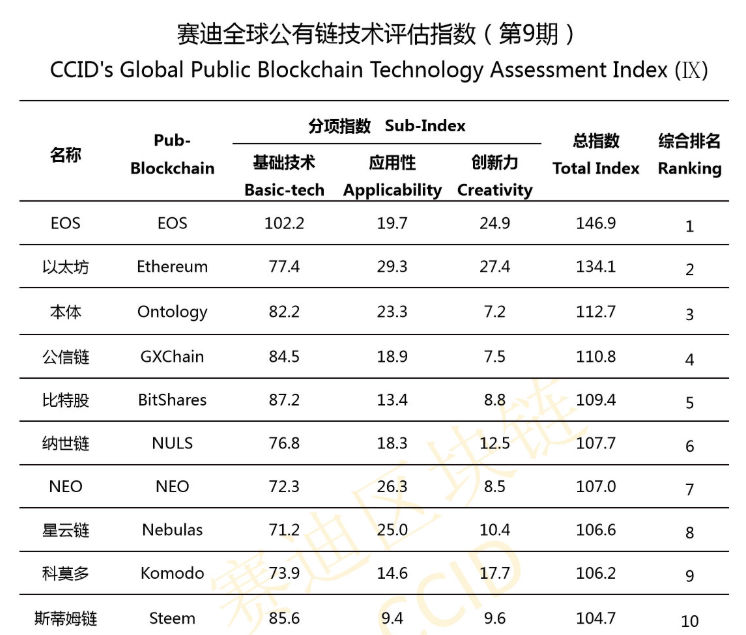 A somewhat odd of a tradition that was started early last year, the China Electronics and Information Industry Development Research Institute (CCID) released the 9th version of its “Global Public Chain Technology Evaluation Index,” which is also its first index of 2019. In an attempt to rank cryptocurrencies by technological superiority, the list comprises 34 different cryptocurrency projects that receive scores for 3 different categories: “basic tech,” “applicability” and “creativity.” These categories comprise a “basic index” score that is then used to rank the coins. With a current market cap valuation of $2.2 billion, EOS (EOS) managed to hold onto its top spot on the list for its 7th month in a row, while bitcoin (BTC) gained 3 spots and moved up to a still rather confounding 15th place. The top 5 positions are rounded out by Ethereum (ETH), Ontology (ONT), GXChain (GXS) and BitShares (BTS), in that order. EOS dominated in the “basic tech” category with a score of 102.2, whereas Ethereum won out the “applicability” category with a score of 29.3, and bitcoin scored the highest in the “creativity” category with a score of 34.9. This month’s announcement of the rankings noted a general decline in total index scores, due not only to declining market values but also to an undermined confidence in the technologies on which they are based. A few of the factors contributing to this include the delayed Ethereum Constantinople upgrade, the Ethereum Classic (ETC) 51% attack, and a general decline in software base updating activity because of the holiday season. CCID think tanks and leading computer technology specialist China Software Testing Center participate in creating the ratings together, releasing their evaluation results on a monthly basis. Interestingly, 4 out of the top 10 coins ranked by CCID are based in China or have China-based lead developers. One of these 4, Nebulas (NAS), has yet to deploy its main net and is still in testing phases. Nebulas made the crypto news headlines during the first release of the rankings back in April, as it managed to out-rank bitcoin though largely unknown and with a relatively tiny market cap. The entire 34 ranked coins and cryptocurrency projects can be seen here. 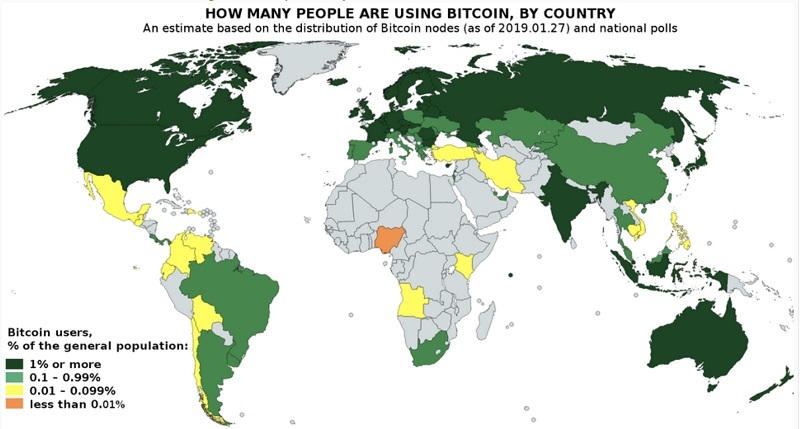 A new calculation of bitcoin popularity worldwide was posted to Reddit recently, based on the estimated total number of crypto users worldwide, survey responses and node counts, revealing which countries had the highest percentage of bitcoiners. The tiny Southeast Asian nation of Singapore was determined to be #1, which harbors an unusually high amount of bitcoin enthusiasts as well as cryptocurrency exchanges, ICOs and blockchain startups. Other countries where over 1% of the nation’s population uses bitcoin tend to enjoy these same traits, some of which include the Netherlands, South Korea, the United States, Finland, the United Kingdom, Austria, and Hong Kong. Almost the entirely of Europe fell into the 0.1% to 1%+ range, as did much of Asia and North America. The continent of Africa is almost entirely devoid of bitcoin users, with South Africa and Nigeria being the exceptions. Not surprisingly, there is some overlap between these results and the countries which search for the word “bitcoin” as determined by Google Trends; the main difference being Google does not count node activity. Crypto exchange Liqui is the first exchange to shut down in 2019, recently notifying users that they have 30 days to withdraw assets kept on the exchange. Though small in total trading volume (averaging around 6 BTC per day), Liqui is immensely popular among smaller tokens that had a hard time getting listed elsewhere and hosts 184 different trading pairs. According to an official announcement, it can no longer offer the provision of required services to its users, thus taking the move to shutter its doors to traders. Researchers at MIT are working on the development of a faster, leaner cryptocurrency which does not require its users to download entire blockchains of significant size in order to operate nodes or transact. The Vault cryptocurrency project reduces the size of downloadable transaction information by up to 99% as compared to BTC or 90% as compared to ETH. The new lightweight platform operates by dividing up storage of transaction data into “shards” which makes it easier for anyone to sync with the network, potentially lowering the barrier to the crypto entryway and making it easier for a mass user base. As the promise of American sanctions begin to take hold, Iran announced that it is officially ready to launch its own fiat-backed cryptocurrency in an attempt to counter such sanctions. After Venezuela’s launch (or failed launch) of the Petro, it will be the second nation to have an official, state-run cryptocurrency. Germany’s largest food delivery platform is set to start accepting bitcoin as a method of payment. With over 13,000 restaurants registered for its service, the Berlin-based Lieferando.de will now let customers pay with bitcoin, expanding their list of payment option from PayPal and credit cards. Unlike the two older options, there will be no fee associated with paying in bitcoin, making it an attractive alternative. Lieferando is owned by one of the largest online food ordering websites in the world, Takeaway.com, which first started accepting bitcoin as a method of payment in July 2017. Thus far, the company says the payment option has been considerably popular among its customers. Takeaway accepts bitcoin payments for deliveries in other European nations like the Netherlands, Austria and Poland. In a first-of-its-kind story, the principle of a Chinese high school was fired for covertly using its computer resources to mine cryptocurrency. A school employee had attempted to inform the headmaster about the school’s heavy usage of electricity, which he quickly dismissed as due to the over-usage of heaters and air conditioners.